While many foot problems are more serious than smelly feet, few are more embarrassing. People with bromodosis (the medical term for foot odour) are likely to feel self-conscious, anxious and reluctant to socialise. In short, this frustrating foot complaint can stop sufferers getting the most out of life. Why are feet more likely to be smelly than most other parts of the body? The reason is that they’re more likely to be sweaty. Feet have more sweat glands per inch than anywhere else and are exposed to sweat continually, as The College of Podiatry’s guide to sweaty feet points out. That makes feet hives of activity for bacteria living on the skin, which break down sweat in a process that produces a powerful stench. Foot odour (which is often described as a cheesy smell) is particularly prevalent in autumn and winter. When feet are encased in thick socks and covered-in shoes, they can all too easily overheat and sweat more than usual. The darker, warmer and damper their surroundings, the more the bacteria thrive and the smellier feet become. 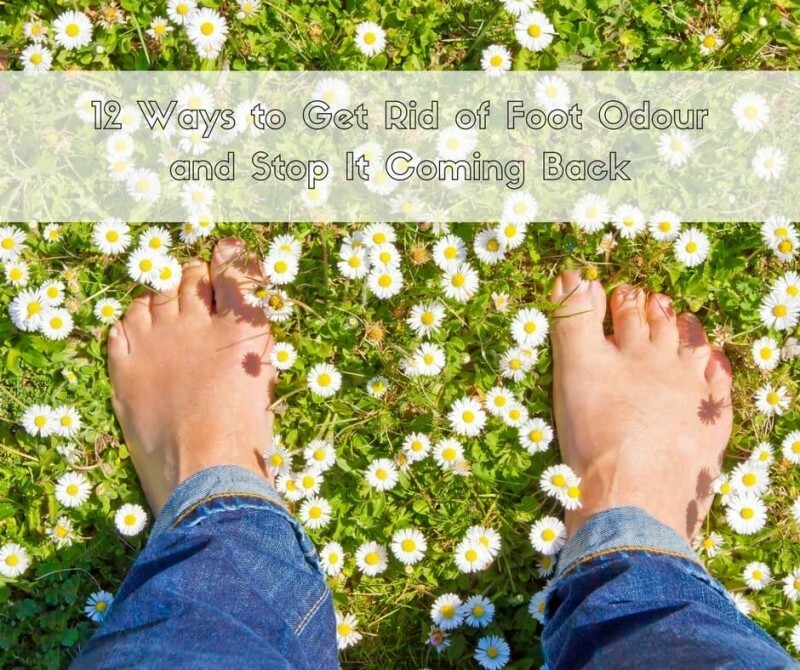 Thankfully, our foot odour advice can help you to tackle the issue. Although anyone can suffer from foot odour, certain physical conditions and lifestyle factors increase the likelihood of the problem occurring. To eliminate foot odour and prevent it returning, you need to keep your feet as fresh as possible. Wash and dry your feet every day, so that sweat doesn’t linger. Dab cotton wool dipped in surgical spirit between your toes – this will dry out one of the moistest areas of your feet. Carefully remove patches of hard, dead skin with a foot file, as they’re easily colonised by bacteria in damp conditions. Spray feet with antiperspirant (either a specialist foot spray or one designed for underarms). When you take off your shoes, leave them in a light, well-ventilated area so that they can dry naturally. Avoid wearing the same pair of shoes day after day. Change your slippers regularly too. Buy shoes made of leather – it’s breathable and so keeps your feet cool. Wash your trainers on a gentle cycle each month to refresh them. Choose Merino wool socks and tights, which draw sweat away from skin without becoming soggy, and put on a clean pair every day. Go barefoot at home in the evenings to let your feet cool down. Add a few drops of lavender oil to warm water for an odour-fighting foot soak. It’ll leave your feet fragrant. If you’re struggling with persistent foot odour, it’s advisable to visit a chiropodist for expert help and tailored advice, especially if you have an underlying health condition such as diabetes. Our London chiropody services encompass all aspects of foot care, including hard skin removal, the treatment of athlete’s foot fungal infections (which can exacerbate foot odour problems) and diabetic foot assessments. We have the expertise to help you banish foot odour and the embarrassment it causes. For professional help to overcome foot odour, please call Feet By Pody today on 0207 099 6657 or book your appointment online.